Viacom is rebranding the Channel 5 TV and digital portfolio. The new-look logo and branding will feature across Channel 5, 5 USA, 5 Star and its video-on-demand platform from 6am on Thursday morning. The new logo breaks up the number 5 and makes use of bold purple, pink and orange colours. The creative team, led by Jody Malam, has also developed new idents for Channel 5 and 5 USA. Jo Bacon, the vice president of marketing at Viacom, said the idents for the main channel are designed to be "little films in their own right… that show a range of human emotional content". She added: "The idea is that they reflect real life that is heightened by five." There are four idents showing five in different ways in a person’s life. For example "waves" show a lady at sea who spots five whales, and "rainbows" shows a beautiful Scottish landscape with five rainbows. For 5 USA, the team made use of drones to film large parts of the US. These images are then overlayed with different shows. 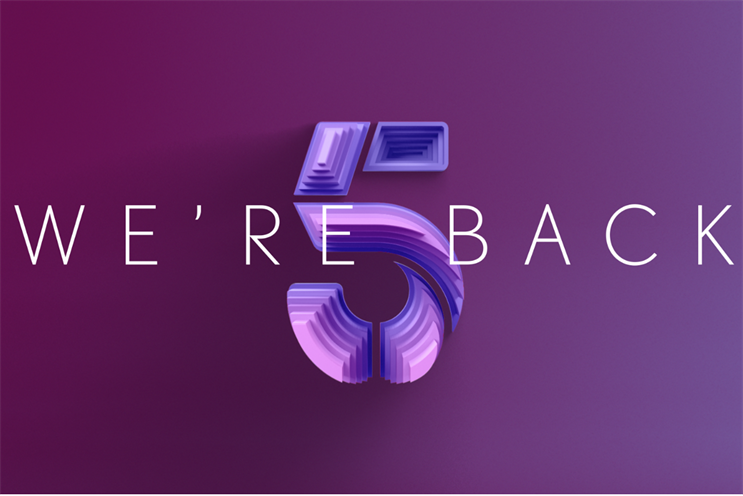 Demand 5 will be rebranded to My5 on Channel 5’s platform and will be known as 5 on other platforms such as Sky and Virgin. 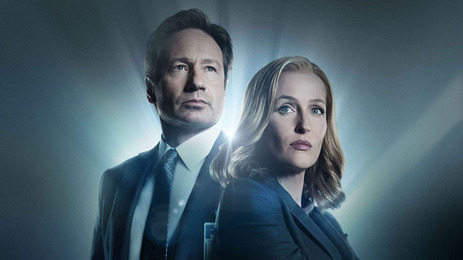 Bacon said that Viacom wanted to bring the branding up-to-date with the new content that the channels have been featuring, such as The X Files. There will also be new American shows on 5 Star including Heroes Reborn, The Magicians, The Shannara Chronicles. Bacon explained that the channel is going through the "biggest content journey". She said: "It’s going to have its own commissions and be younger and more energetic." When asked about the BBC Three rebrand and its online only future, Bacon told Campaign: "What we’ve tried to do is make [Channel 5] relevant, aspirational, contemporary, creative and bold. "Obviously BBC Three is an opportunity for all broadcasters and everyone in the content world. "I do think we’re strengthening our 16- to 34-year-old audience but we want people to come to us attitudinally not just demographically, and we needed to bring the spirit of 5 across the brands in a way that’s right for the content. "It’s good timing that we’ve got 5 Star into good shape at the time that BBC Three goes off air." Viacom acquired the Channel 5 portfolio from Northern & Shell for £450 million in 2014. In the first year, the broadcaster said that Channel 5 has grown its share of viewing amongst 16- to 34-year-olds by 3 per cent, a 10 per cent rise in the first half of 2015. Spike, which is also part of the Channel 5 portfolio, launched on Freeview last year.